Modern sales teams live and breathe data, but getting access to that data is no easy task. In fact most sales leaders have found themselves in the middle of a fight to get better and faster insights from their data. How sales leaders rate their relationship with data. What sales leaders expect from their data. What would you do with better insights into your business? 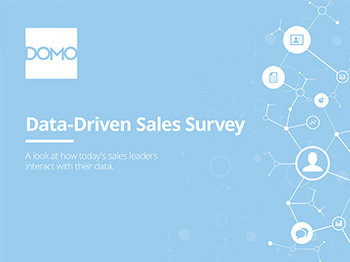 Fill out the form below to read "Data-Driven Sales Survey Report"